In May 1945, twelve men and women from seven different countries are thrown together in one of Europe’s oldest and most mysterious cities. The Adriatic port of Trieste, lying on the boundaries of Italy, Austria and Yugoslavia, is caught between the advancing Allied, Russian and Yugoslav armies. It’s now on the frontlines of the new Cold War. It’s a strategically vital frontier between East and West. Winston Churchill and President Harry S.Truman have highlighted it as a major potential flashpoint between themselves and the Russians. Germany lies defeated, and now there is a new enemy – Russia and Communism. Flashpoint Trieste is the story of one year in one city as the Cold War begins, told through the interlinked stories of twelve different characters. A British Colonel from the Special Operations Executive, a Maori officer from a New Zealand battalion and a young Yugoslav partisan captain race for the city on 1st May 1945. The Allies are determined to beat Tito’s men and the Russians to the vital port. The first battle of the Cold War is then fought by intelligence agencies. Russian, American, British, Yugoslav and Italian spies face each other on the mysterious shores of the Adriatic. Their operations read like a dark and atmospheric espionage story. But this one is true. Trieste is divided between the Americans, British and the Yugoslav Communist forces of Marshal Josip Broz Tito. Having survived the war, everybody is now desperate to make it through the liberation. The Allies are trying to out-wit Tito, an Italian female communist partisan walks back to her native city from Auschwitz, and an Austrian SS chief goes on the run to escape justice for the atrocities he committed in the city. Stalin plays off the Yugoslavs against the Allies, and then loses patience with his communist ally, Tito, and decides to have him assassinated. British intelligence will stop at nothing to hold the line against encroaching communism. Life is fast and violent, as former warring parties find common cause against the Russians. As the post-war world order unfolds, the borders of the new Europe are being hammered out. Against this deadly backdrop of intelligence operations, escape and revenge, all sides are locked into the opening salvoes of the Cold War on the beautiful shores of the Adriatic. Told through the characters’ interlinked stories, Flashpoint Trieste is the story of the first turbulent post-war year of lethal cat and mouse in south-eastern Europe. "Jennings writes ably and knowledgeably...and in this long, fascinating and compelling study, as gripping as a thriller, he leaves nothing out.This wide ranging examination covers all sides of the story, giving us a lively and articulate picture of the flashpoint that, between 1945 and 1954, was Trieste." "This is a complicated story that Christian Jennings takes on in Flashpoint Trieste...the account is lively and colourful...and this is a story of real human drama. 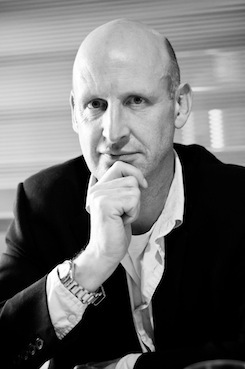 The litany of man's inhumanity to man is vividly described and Jennings has a deep understanding of the area and knowledge of the local archives.... "
"Flashpoint Trieste reflects the beauty of concise, expositional writing. As a foreign correspondent, Jennings writes more like a journalist...this enables him to give the book a pace often lacking in more academic books." " Very readable and highly informative as well as being full of historical detail, with a good range of images and mapping. Fully recommended." 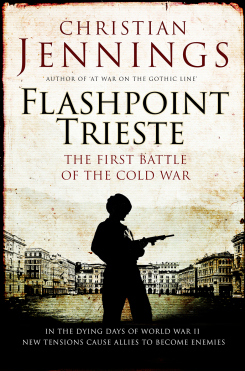 University Press of New England have bought US rights in Christian Jennings’ Flashpoint Trieste : First Battle of the Cold War and will publish in the autumn.